Candidates have flooded into the Pittsburgh mayoral primary since Mayor Luke Ravenstahl’s decision to exit the race last week. Here’s the latest on each of the prospective candidates. Update: County Councilman Bill Robinson joins the ranks. See below. The Pittsburgh City Controller is one of two already declared candidates. He finished 2012 with $212K on hand. And with Ravenstahl out, he’s the only candidate who filed to be considered for endorsement by the Allegheny County Democrats. He’ll get that endorsement by default, but unless Ravenstahl officially withdraws his name by 5pm Wednesday the Mayor’s name will remain on the ballot. That gives anti-Lamb candidates the chance to organize a protest vote. He lives in Mt. Washington on the South Side. Councilman Bill Peduto is now the longest declared candidate in the race. He ended 2012 with $260K on hand. He was the anti-Ravenstahl, a progressive Dem. He has the fervent backing of Allegheny County Executive Rich Fitzgerald. He lives in Point Breeze on the East End of the city. The former Pa. Auditor General, former state Senator, and former City Councilman is circulating petitions to run for Mayor. He’s got the best name ID in town, but has not been a prolific fundraiser. He threatens to split the southern part of the city with Lamb. He lives in Beechview in the city’s South Hills. The City Council President who has strong labor ties is also circulating petitions to run for Mayor. In the absence of Ravenstahl, she could emerge as the favorite daughter of voters north of the river. She at least will diminish the extent to which north side is a swing area in the campaign. She lives in Spring Hill on the North Side. The Pittsburgh Tribune-Review reported Tuesday that state Sen. Fontana is circulating petitions to run, although he hasn’t made the definitive decision to do so. He previously said he would defer to Sen. Ferlo, and would support his colleague should he decide to run. His entry would further complicate the picture in the south. He lives in Brookline in the South Hills. State Senator Jim Ferlo has said that he is considering a run, although his less than ideal health may deter him. He’s an interesting mix: a progressive liberal who was also a staunch Ravenstahl ally. He also has an incentive to consider a run: GOP redistricters drew him into a heavily Republicans district now represented by Sen. Randy Vulakovich, meaning he’d have a tough re-election fight in 2014. If he gets in, it’s bad news for Peduto; they share a geographic and ideological base. He lives in Highland Park on the city’s East End. There is a lot of speculation about whether City Councilman and Reverend Ricky Burgess’s interest in the mayoral election. He hasn’t made any overt moves, but Pittsburgh Regional Building Trades Council business manager Rich Stanizzo says his members have been hearing from him. He’s one of two African Americans whose names are in the mix. He lives in Point Breeze North in the city’s East End. He hasn’t made any direct moves (although the Post-Gazette reported he was poised to begin circulating petitions). But like Burgess, Pittsburgh Regional Building Trades Council business manager Rich Stanizzo says his members have been hearing from Wheatley. He’s the second of two African Americans whose names are in the mix. He lives in the Upper Hill District, near Oakland and the University of Pittsburgh. The Allegheny County Councilman told the Post-Gazette that he was getting into the race. “I’m in the race as of now,” he said. “I am circulating petitions and I anticipate talking in depth with a number of people and organizations that are telling me I should run.” Robinson, 82, has one of the longest resumes in the race: a former City Councilman for 8 years and a state Rep. for 14. He is also African American. He lives in the Middle Hill District, between the University of Pittsburgh and downtown. Now that Jack Wagner is looking in, Chelsa is looking out. She lives in Brookline in the South Hills. When Ravenstahl made his announcement, he said he had a potential successor in mind. Many observers assumed he referred to Onorato, the former County Executive and 2010 Democratic nominee for Governor. But after days of silence, Onorato ruled out a bid Monday evening and said he liked his current job. He lives in Brighton Heights on the North Side. Johnny-come-latelys! All too chicken to put themselves out there when Lukey seemed unbeatable…even though they ALL knew he’d been up to no good for years. And Peduto feared embarrassment, forgoing the DEM party endorsement. CHICKENS ALL!! I like LAMB!!! First local leader to support me in ’08. Doesn’t matter if Fitz won’t support hime and work with him. Because I will!! You are correct. Onoratos campaign was less than engaging. Likewise, his campaign team left little to be desired, and was not very good at reaching out to the voters. Some of these same members (Kinross and Millham) were also a part of the Flaherty loss. They evaporated a 15-20 point lead in no time and made a sure win into a sure loss thru their “inactivity”. Second, Onorato and his team ran a terrible campaign for governor in 2010. It was a Republican year, but former Congressman Sestak performed far better against Senator Toomey than Onorato performed against Governor Corbett (and even Republicans now will admit Governor Corbett, no matter policy beliefs, is terrible at the political game). 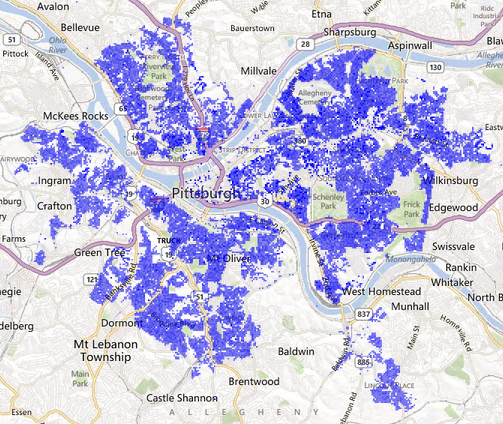 Onorato lost Allegheny County, a Democratic area where he was the incumbent County Executive. Onorato was a terrible candidate, he had a team of terrible operatives, and that is how people will remember them. People need to stop considering Dan Onorato a candidate for every office for which he can run. First, he is an executive at a health insurance company. That job has one of the lowest positive ratings on the spectrum. He took that job to make a significant salary, which is fine, but nobody who takes a job like that runs for office again. It is similar to taking a job requiring you to register as a lobbyist. Both positions essentially forfeit the ability to attract votes from an electorate. Like it or not, campaign consultants for opponents remind voters of that reason not to vote for him or her.